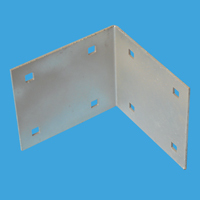 Heavy Duty Hot Dipped Galvanized for superior corrosion resistance. Accepts 3/8” fasteners. Bolt patterns match from bracket to bracket. DH-01 Inside corner post holder. Accepts 1-7/8” o.d. pipe. Adjustable with ½” set screws. Keeps post on inside of frame for boat protection. $32.50 each DH-02 Outside post holder. Accepts 1-7/8” o.d. pipe. Adjustable with ½” set screws. Excellent for retro-fitting old docks with new hardware. DH-03 J-joiner. Joins dock sections in multiple configurations (i.e. “L”, “T” etc). Requires two j-joiners for each connection point. DH-05B Aluminum Base Plate, 6” x 6”. DH-11 1-7/8” Schedule 40 Galvanized Pipe. 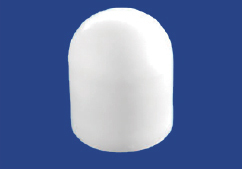 $5.85/foot DH-12 1 7/8″ o.d. Aluminum Pipe. $6.95 each We also carry a selection of Dock Edge+ hardware, as well as fabricating our own custom hardware to suit your needs.